Although the reconciliation of Jewish and Polish memories of the Holocaust is the central issue in contemporary Polish–Jewish relations, this is the first attempt to examine these divisive memories in a comprehensive way. Until 1989, Polish consciousness of the Second World War subsumed the destruction of Polish Jewry within a communist narrative of Polish martyrdom and heroism. 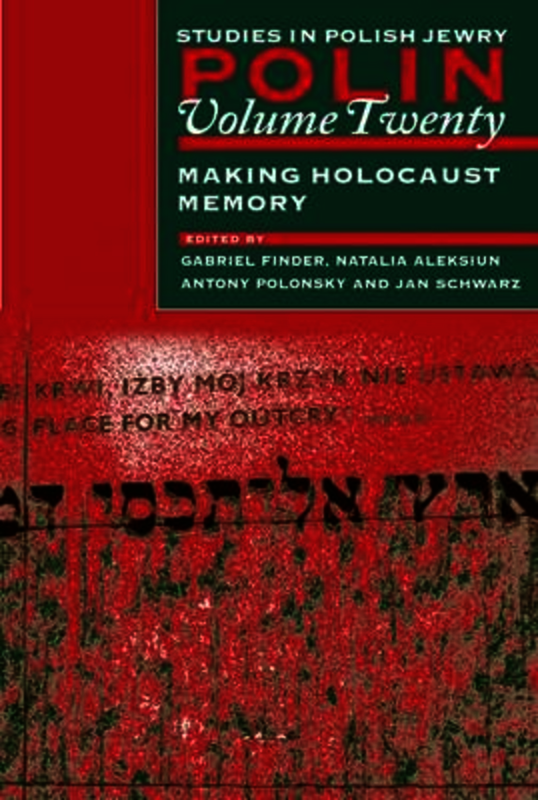 Post-war Jewish memory, by contrast, has been concerned mostly with Jewish martyrdom and heroism (and barely acknowledged the plight of Poles under German occupation). Since the 1980s, however, a significant number of Jews and Poles have sought to identify a common ground and have met with partial but increasing success, notwithstanding the new debates that have emerged in recent years concerning Polish behaviour during the Nazi genocide of the Jews that Poles had ignored for half a century. This volume considers these contentious issues from different angles. Among the topics covered are Jewish memorial projects, both in Poland and beyond its borders, the Polish approach to Holocaust memory under communist rule, and post-communist efforts both to retrieve the Jewish dimension to Polish wartime memory and to reckon with the dark side of the Polish national past. An interview with acclaimed author Henryk Grynberg touches on many of these issues from the personal perspective of one who as a child survived the Holocaust hidden in the Polish countryside, as do the three poems by Grynberg reproduced here. The ‘New Views’ section features innovative research in other areas of Polish–Jewish studies. A special section is devoted to research concerning the New Synagogue in Poznan, built in 1907, which is still standing only because the Nazis turned it into a swimming-pool. CONTRIBUTORS: Natalia Aleksiun, Assistant Professor in Eastern European Jewish History, Touo College, New York; Jolanta Ambrosewicz-Jacobs, Head, Section for Holocaust Studies, Centre for European Studies, Jagiellonian University, Kraków; curator, International Centre for Education about Auschwitz and the Holocaust, Auschwitz-Birkenau State Museum; Boaz Cohen, teacher in Jewish and Holocaust Studies, Shaanan and Western Galilee Colleges, northern Israel; Judith R. Cohen, Director of the Photographic Reference Collection, United States Holocaust Memorial Museum, Washington DC; Gabriel N. Finder, Associate Professor, Department of Germanic Languages and Literatures, University of Virginia; Rebecca Golbert, researcher; Regina Grol, Professor of Comparative Literature, Empire State College, State University of New York; Jonathan Huener, Associate Professor of History, University of Vermont; Carol Herselle Krinsky, Professor of Fine Arts, New York University; Marta Kurkowska, Lecturer, Institute of History, Jagiellonian, University, Kraków; Joanna B. Michlic, Assistant Professor, Holocaust and Genocide Program, Richard Stockton College, Pomona, New Jersey; Eva Plach, Assistant Professor of History, Wilfrid Laurier University, Waterloo, Canada; Antony Polonsky, Albert Abramson Professor of Holocaust Studies, Brandeis University and the United States Holocaust Memorial Museum, Washington DC; Alexander V. Prusin, Associate Professor of History, New Mexico Institute of Mining and Technology, Socorro; Jan Schwarz, Senior Lecturer, Department of Germanic Studies, University of Chicago; Maxim D. Shrayer, Professor of Russian and English, Chair of the Department of Slavic and Eastern Languages, Co-Director, Jewish Studies Program, Boston College; Michael C. Steinlauf, Professor of Jewish History and Culture, Gratz College, Pennsylvania; Robert Szuchta, History teacher, Stanislaw I. Witkiewicz High School, Warsaw; Joanna Tokarska-Bakir, Lecturer in Cultural Anthroplogy, Warsaw University; Chair, Department of Cultural Anthropology, Collegium Civitas, Poland; Scott Ury, Post-Doctoral Fellow, Department of Jewish History, Tel Aviv University; Bret Werb, United States Holocaust Memorial Museum, Washington DC; Seth L. Wolitz, Gale Chair of Jewish Studies and Professor of Comparative Literature, University of Texas at Austin. Gabriel N. Finder is Associate Professor in the Department of Germanic Languages and Literatures at the University of Virginia. He is writing a book on the role of the politics of memory in rebuilding Jewish life in post-war Poland; he has published articles in the journals Polin, Gal-Ed, and East European Jewish Affairs and contributed to the forthcoming YIVO Encyclopedia of Jews in Eastern Europe. Natalia Aleksiun is Professor of Modern Jewish History at Touro College, Graduate School of Jewish Studies, New York. She is the co-editor, with Antony Polonsky and Brian Horowitz, of 'Writing Jewish History in Eastern Europe' (2016), and has published widely on Polish Jewish issues. Among several prestigious fellowships, she has been a fellow at the Institute of Contemporary History in Munich and at the Wiesenthal Institute for Holocaust Studies in Vienna, and the Pearl Resnick Postdoctoral Fellow at the Center for Advanced Holocaust Studies, US Holocaust Memorial Museum, Washington DC. Antony Polonsky is Professor Emeritus of Holocaust Studies at Brandeis University and Chief Historian of the Polin Museum of the History of Polish Jews, Warsaw. He is the author of the three-volume History of the Jews in Poland and Russia, published in an abridged paperback version as The Jews in Poland and Russia: A Short History. Jan Schwarz is Senior Lecturer in the Department of Germanic Studies, University of Chicago.